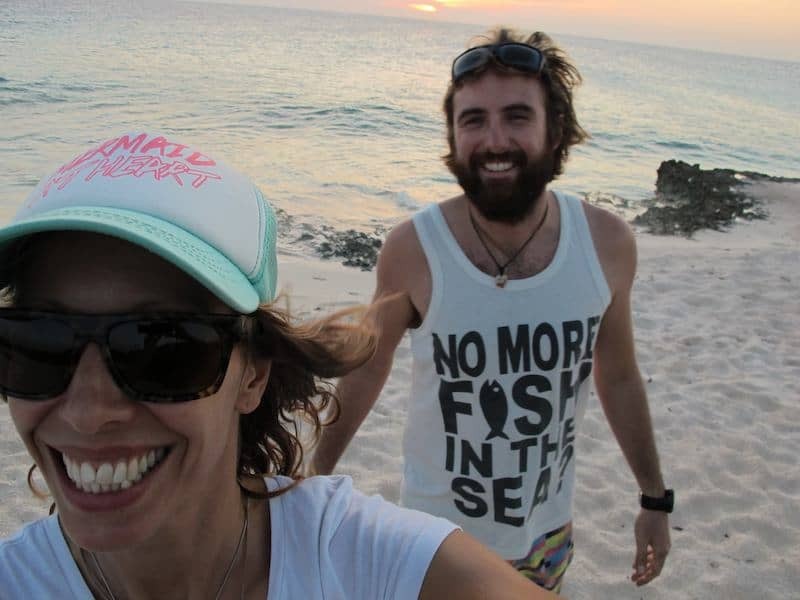 We worked as dive instructors in fantastic places like Thailand and Australia, and it was our love for the underwater world that led us to the beautiful Caribbean island of Bonaire, home of some of the best reef diving on the planet. We came expecting to stay for a season and simply enjoy another adventure. But like so many before us, we fell in love with Bonaire’s unspoilt natural beauty and slower pace of life. The climate also didn’t hurt. Neither of us was in a hurry to return to winter in either the Netherlands or Ireland. After several years as dive instructors on Bonaire, our entrepreneurial spirits urged us to set up our own business. 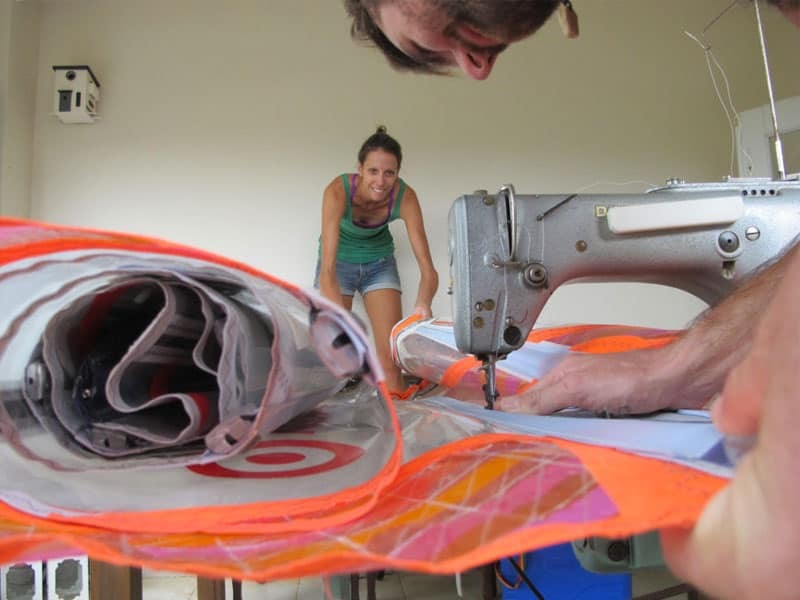 Our commitment to sustainability and environmental conservation helped guide us to the idea of a sewing company. Every day we saw potentially re-useable resources being discarded. We saw the potential in repurposing these materials, rather than letting them go to the landfill or, worse, the bottom of the beautiful ocean. We took the leap, quit our dive jobs and phish phaktory was born. We started sewing in our living room, but quickly outgrew that arrangement. With the help of friends (it is the island way! 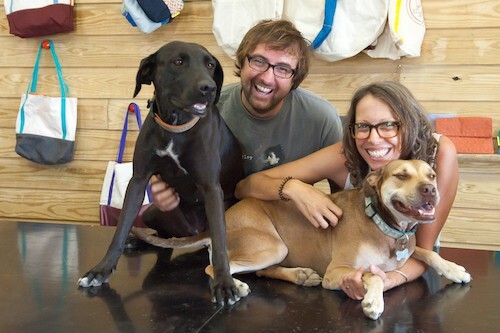 ), we built our current workshop at El Navigante Boatyard in Hato where you can usually find us, where our pups Izzy and Beau will welcome you with a smile and a wiggle. Now well into our fifth year, we are proud to offer a full line of guaranteed products and services – all manufactured in a sustainable and environmentally conscious way!